We’re going through one of the longest cold snaps we’ve had in North Carolina in several years, and today an arctic blast has hit us again, so I’ve been working inside the last few days. 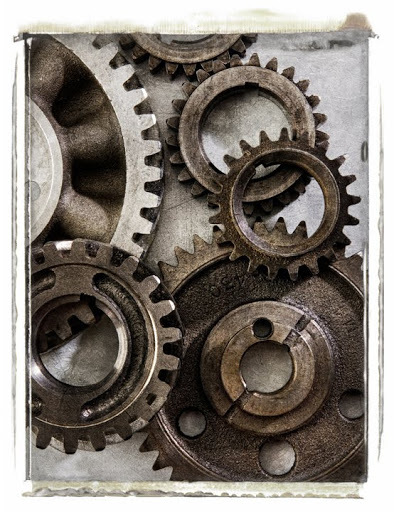 The photograph is a studio still life of some old gears, a study in shape and texture. Next Next post: Need a Photographer? Then Find a Photographer.